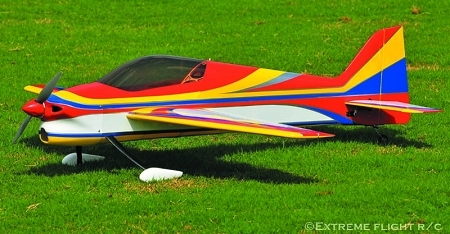 Extreme Flight RC is pleased to announce the release of the 48 inch Vanquish MKII. Building upon the foundation of the original Vanquish released in 2007, we have incorporated several new design elements along with a beautiful and highly visible color scheme that must be seen in person to fully appreciate. 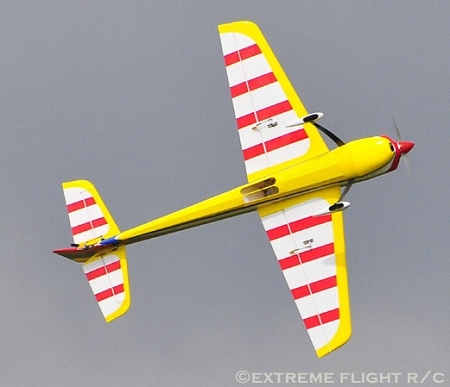 Among the revisions are a completely overhauled construction method with clever use of carbon fiber and composite strengtheners and the geodetic tail surface construction featured in our EXP series aircraft. 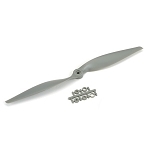 Airfoiled control surfaces, airfoiled carbon fiber landing gear, micro carbon fiber tailwheel assembly, carbon fiber wing tube, complete hardware package and decal set are among the many outstanding features incorporated into this great flying ARF aircraft. A spring loaded canopy/hatch latch keeps the canopy securely in place while allowing instantaneous access to the interior of the Vanquish for quick battery changes. A gorgeous Ultracote color scheme with matching painted cowl and pants finish off the Vanquish in style. 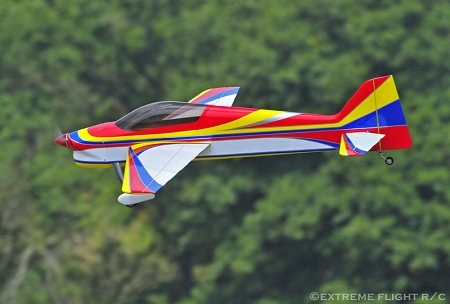 The Vanquish MKII is fully capable of performing the entire catalog of F3A maneuvers and also makes a great flying sport aircraft. 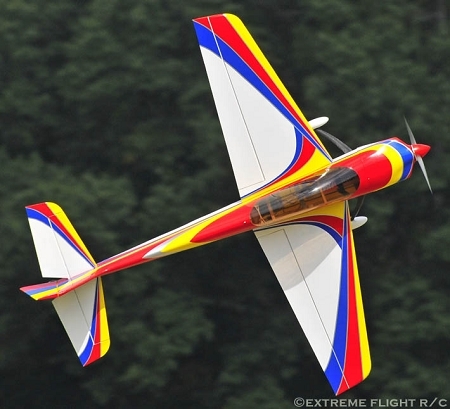 If you've never experienced the graceful agility of a pattern aircraft you owe it to yourself to give it a shot. You will be amazed at how well the Vanquish performs!